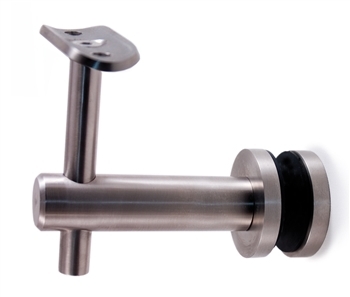 Stainless Steel Handrail Support 3 15/32" Dia. for Tube 1 2/3" x 5/64" Dia. Stainless Steel Handrail Support 3 5/32" Dia. x 13/64", Adjustable Height Stainless Steel Handrail Support for Wall Mount Stainless Steel Handrail 2 3/4" Dia. x 1/2" Dia., for Tube 1 1/2" Dia.